Deluxe Class Hotel. 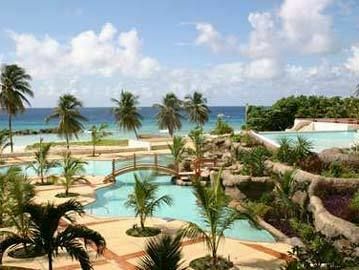 Holiday in Barbados and enjoy a prime location on the lush tropical peninsula of Needham's Point at the Hilton Barbados hotel in Bridgetown. Relax on the white-sandy beaches lapped by the azure Caribbean Sea, be pampered in of our treatment rooms, workout in the fitness centre or go scuba diving at the Watersport Center. 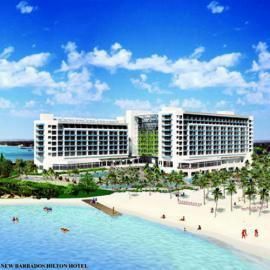 The kids will love the oceanfront pool and Kid's Club. You can travel to Bridgetown, the capital of Barbados in just five minutes and to Grantley Adams International Airport in just 20 minutes. 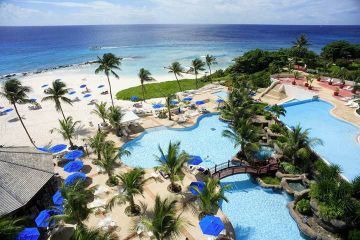 This Hilton Barbados hotel boasts 350 ocean-view guestrooms, including 77 Executive Floor rooms and 33 suites. 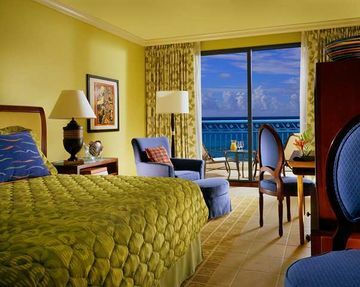 All guestrooms offer a private balcony with sea views, separate shower unit, high-speed Internet access, two-line speakerphones with data port, and cable TV. 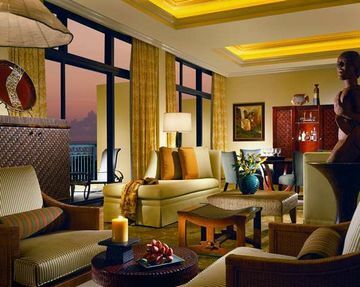 Guests staying on the Executive Floor enjoy access to the Executive Lounge overlooking Carlisle Bay, complimentary breakfast, refreshments and hors d'oeuvres throughout the day, and exclusive check-in and check-out. Careenage Bar - Onsite. Lighthouse Restaurant - Onsite. Water's Edge Bar - Onsite. The Grille. With over 10,000 sq. 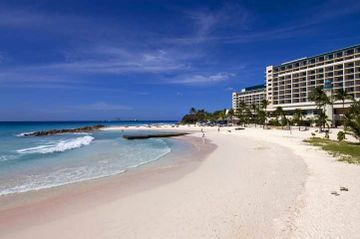 ft. of meeting space, this Hilton Barbados hotel features a 4,000 sq. ft. Hilton Meetings complex, complete with business center, boardroom, three meeting rooms divisible into six breakout rooms, and exhibition center. Plus, the hotel boasts a 6,200 sq. 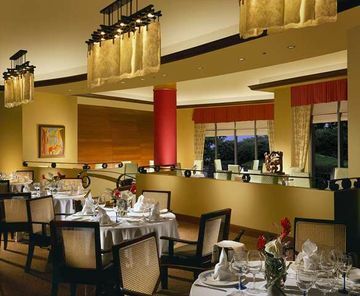 ft. Grand Ballroom with a 570-person capacity - the largest hotel meeting space in Bridgetown, Barbados. For family vacation or business travel you can also experience the resort's superior food and beverage outlets with casual dining, gourmet menus, a lobby lounge and beach bar. Sip rum cocktails from your poolside lounger at the Hilton Barbados hotel's Water's Edge. Enjoy US Angus beef at The Grille or indulge in themed dinner buffets from seafood to Mediterranean at the informal Lighthouse Restaurant. 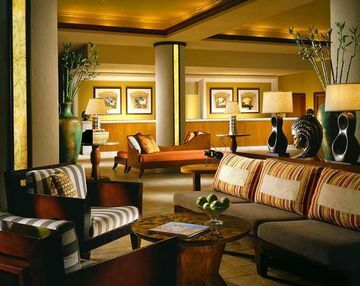 During your Barbados vacation, why not have your hair styled at the salon or browse the duty-free shopping and art gallery in the Hilton Barbados hotel lobby?